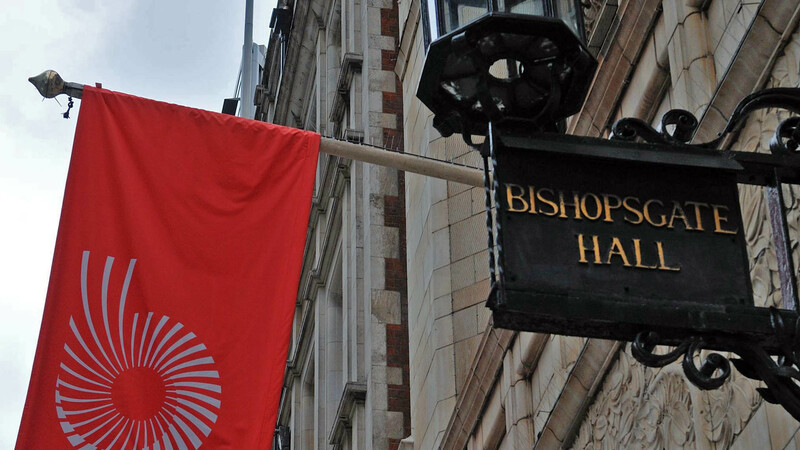 The Bishopsgate Institute is a cultural and learning centre located near Liverpool Street Station in the heart of London. Opened on New Year’s Day in 1895, the Institute hosts a wide range of arts and educational activities including a programme of lunchtime concerts in its historic Great Hall. AJA has had a long association with the Institute, providing initial acoustic advice on refurbishment proposals in 1998 and again in 2006, with venue consultancy provided by Michael Holden. In 2009 the Institute finally began a Heritage Lottery-funded programme of building improvements. These included substantial changes to the Great Hall and teaching rooms, and treatment of the very reverberant corridors and stairwells. Works to the Great Hall included re-opening the large central glazed lantern, concealed for years above an unsightly grid tile ceiling. AJA were appointed to the design team as acoustics consultants to develop a design which achieved this without adversely affecting the concert hall acoustic. Using computer software to model the acoustics of the Hall, we designed a reflective canopy over the stage, with elegant acoustically absorbent wall and ceiling treatments. 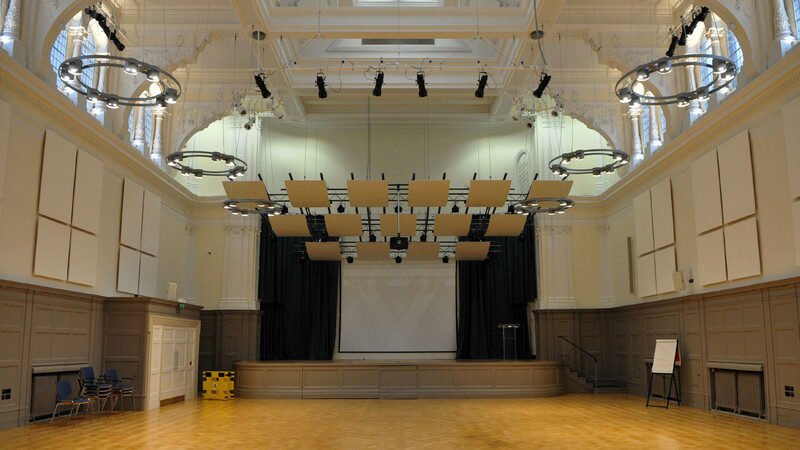 These control reverberation while providing a good acoustic for music recitals, dance, lectures and meetings, all within the constraints of the Grade ll* listed interior. We also advised on noise control for new ventilation systems, and designed the sound systems for the Great Hall and teaching rooms. The Great Hall sound system had to cater for a diverse range of events in various layout configurations, but it also had to be simple for non-technical staff to operate. 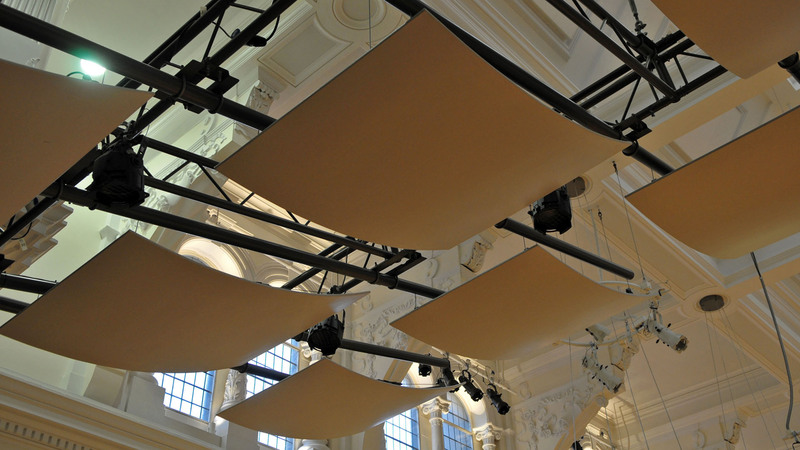 We designed an innovative system using a digitally steerable loudspeaker to provide subtle, high-quality speech reinforcement and a small visually discreet distributed system for background music and audio-visual presentations. The system is controllable via a simple wall panel interface or touch screen PC.